Welcome to SitcomsOnline Digest! It has been yet another busy week with deaths of classic TV stars, news of the upcoming death of a relatively new cable network, and also a bit of good news with some new series for Antenna TV. Let's get going! Warner Archive is moving ahead with Family Matters, bringing Family Matters - The Complete Eighth Season (the last one to air on ABC before the series moved to CBS for the ninth) to DVD on September 20. Brooklyn Nine-Nine - Season Three (DVD, $39.98): The third season of the Andy Samberg sitcom on Fox arrives in this release. Superstore - Season One (DVD, $29.98): The first season of the NBC comedy arrives in this release. 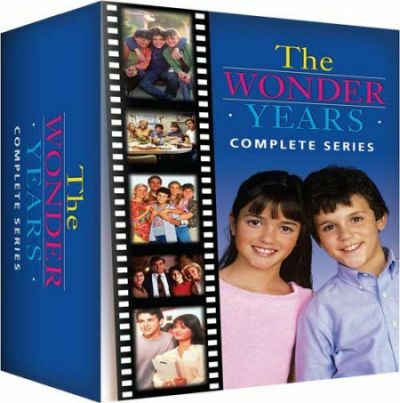 The Wonder Years - The Complete Series (DVD, $119.95): In case you skipped the deluxe version that came packaged in the metal locker and was only available directly from Time Life, this complete series now arrives at retailers. Who to Follow: Jason Hervey (Twitter), "Executive Producer/Actor/Co-Founder of Bischoff Hervey Entertainment Television (BHE TV) AKA brother from hell on the Emmy Award Winning series The Wonder Years"
Claim to Fame: We're (sort of) continuing a theme of actors who played memorable characters in 80s sitcoms, but were never part of the regular cast this week with Jason Hervey, even though Hervey did go on to an actual regular role in the late 80s on The Wonder Years. Jason Hervey's career began with a few guest roles here and there, most notably in the final season of Diff'rent Strokes, where he played Charlie in nine final season episodes. Of course, his best known role came from The Wonder Years, where he was much more than just a minor supporting character. Today, he does much more work on the production side of television, and much like his friend Scott Baio, seems to have some very strong pro-Donald Trump political opinions... just so you know before viewing his Twitter page.